LOUISVILLE Physicians at Jewish Hospital are changing the prognosis for Kentuckians with severe aortic stenosis. Primarily a disease of the elderly, cardiothoracic surgeon Matthew Williams, MD, University Cardiothoracic Surgical Associates and assistant professor Thoracic and Cardiovascular Surgery, UofL, estimates, “The rate of treatment for patients with severe aortic stenosis in the U.S. is only about 50 percent,” leaving half of patients with no treatment options and the worst possible outcome. However a new procedure, transcatheter aortic-valve replacement (TAVR), is providing an option for patients deemed inoperable. Williams and interventional cardiologists Michael Flaherty, MD, PhD, and Naresh Solankhi, MD, performed the state’s first TAVR on December 21, 2011. In the procedure, a transfemoral approach is used to feed a wire from the groin to the aorta and across the aortic valve using fluoroscopy. A balloon is used to open the valve, and then a second balloon, with a new bovine pericardial valve mounted on the outside, is passed into the diseased valve and precisely positioned using fluoroscopy and echocardiography. The balloon is inflated, and the new valve is operational. “Patients are off the ventilator within an hour of the procedure and can go home basically on the third day,” says Solankhi, who is with Medical Center Cardiologists (part of Jewish Physician Group). “There is really no blood transfusion, no opening of the chest, no major surgery, no anesthesia, just some sedation and ventilation, and patients will ambulate six hours after the procedure.” The procedure is done in a catheterization lab that functions as a hybrid operating room in case physicians need to convert to an open procedure. The physicians agree that bringing the technology to Kentucky has been a team effort between cardiology and cardiothoracic surgery. Flaherty, director of Structural Cardiac Interventions and Research-Division of Cardiology, UofL, initiated the structural interventions program at UofL and Jewish Hospital after training at Johns Hopkins and credits the program’s existence as an asset in partnering with device-maker Edwards Lifesciences. Solankhi trained at St. Paul’s Hospital in Vancouver, British Columbia, under TAVR pioneer John Webb, MD. Solankhi also cites a large volume of patients and Jewish Hospital’s capability for complex procedures as deciding factors in pursuing this technology. Though Flaherty and Solankhi are more practiced in percutaneous procedures, Williams is a critical component. “In the early stages, Edwards Lifesciences requires us to do surgical cut-downs to expose the vessel used in the leg so as to prevent any early complications with our transfemoral approach,” says Flaherty So, a surgeon is integral in exposing the vessel, but the goal is for all three physicians to be interchangeable. “Our hope is that it will always be a team approach. When you do these, you find out how important it is to have several disciplines in the room,” says Flaherty. 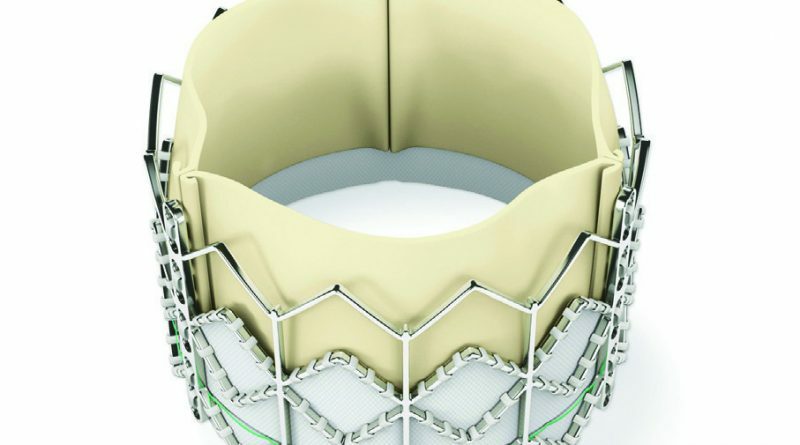 The Edwards SAPIEN transcatheter aortic valve is the first device of its kind to be approved in the U.S. for commercial application in cases where patients are deemed inoperable or are at extreme risk for traditional open surgery “There is also currently an FDA-approved trial of lower risk patients, who are operable but still a relatively high surgical risk (with a predicted mortality rate of four percent or higher), comparing the device to open surgery,” says Williams. In addition, there is a completed trial that has been published in the New England Journal of Medicine and is awaiting FDA judgment, comparing the device to high risk open patients, which is different from the extreme risk already approved. While the doctors agree that the future holds more widespread application of the technique, their visions are slightly different. According to Flaherty, a PARTNER-II trial will offer a transapical approach option, allowing physicians to do the same procedure through the apex of the heart. The PARTNER-II trial is also evaluating a newer, smaller iteration of the device, the Edwards SAPIEN XT™. “What I see in the future is the device is going to get smaller and smaller and be much more useable by other operators, such that we have widespread use in the future, like in the case of coronary stents,” says Flaherty. Williams predicts a more limited market penetration of 30 to 40 percent in 10 years because anatomically some patients will not fit the requirements and many have comorbidities that require other procedures to be done at the time of surgery. Solankhi foresees implications for other diagnoses. “In the future, there are techniques that will allow us to treat the mitral valve, another common heart condition, in that same way, but we are a long way from that,” he says. 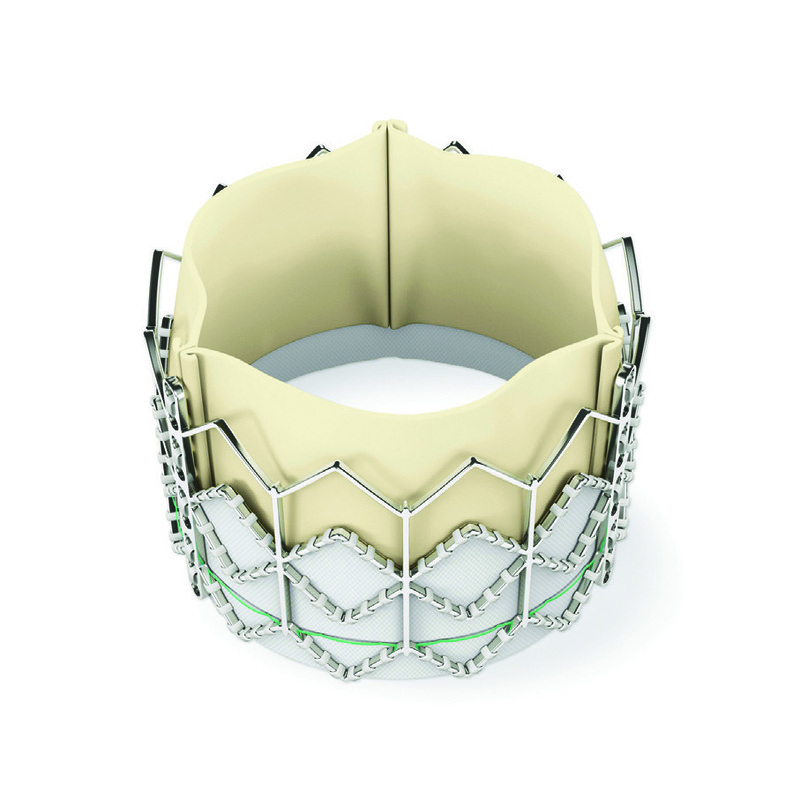 TAVR provides access to a technology that was not available before. For a huge gap of patients with severe aortic stenosis that were likely dying because of lack of treatment, the procedure represents an option that will lead to better treatment and better health for the people of Kentucky.